The US tried and failed to intercept a missile on Wednesday, and also announced it would spend another $US6.5 billion on missile defence interceptors. The US has spent more than $US40 billion on missile defence projects over the last 15 years, and has no real credible capability to show for it. Ballistic missile defence plays into the complicated game of nuclear deterrence, which some say provides theoretical protection, but nobody can prove that. The US public learned on Wednesday that the US Navy tried and failed for the second time in a year to intercept a missile with an SM-III missile from the defence contractor Raytheon. On the same day, the Pentagon announced it would spend another $US6.5 billion on 20 more missile interceptors for the ground-based midcourse defence system (GMD), which is meant to protect the US homeland from missile attacks from North Korea or Russia. But the GMD has a bad track record. It recently had a successful test that may have calmed the fears of some in the US amid nuclear tensions with North Korea, but a recent paper on the test shows it was unrealistically generous. 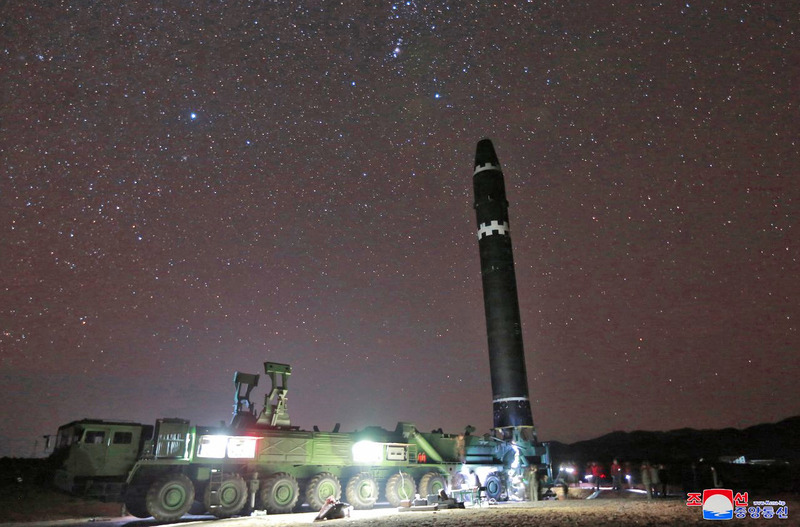 Laura Grego and David Wright, leading experts in the field of ballistic missiles, writing for the Union of Concerned Scientists, found that the so-called intercontinental ballistic missile (ICBM) the GMD knocked down was flown on a favourable trajectory, slower than the real thing, and without any of the tricks or savvy North Korea might use in an actual attack. The paper concludes the US has no reliable ballistic missile defence capability for the homeland. That capability, or lack thereof, comes after the US has spent more than $US40 billion over the last decade in a half on ballistic missile defence. During that time, Boeing, Raytehon, and Lockheed Martin, key players in the BMD scene, have all posted record profits – and they continue to get contracts with the Pentagon. To be clear, the US can defend against some, shorter-range missiles. Aegis-equipped ballistic missile destroyers at sea have a good track record of defending themselves, but they’re not meant to go after ICBMs. Patriot missiles have saved some lives from short-range missile attacks on the battlefield, though that has been historically over-hyped or just lied about. BMD kind of works on a theoretical level, but is that worth $US40B? KCNANorth Korea’s ballistic missiles are cheap compared to US missile interceptor programs. Missile defence plays into the complicated and highly theoretical world of nuclear deterrence. For an adversary like North Korea, maybe even the single-digit per cent chance a missile would be intercepted by the US would dissuade them from attacking. But much more likely, North Korea wouldn’t attack the US because of the US’s ability to return the favour tenfold. It’s entirely unclear, and no expert can demonstrate beyond reasonable doubt that BMD has ever deterred anyone, or done anything beside line pockets of defence contractors. For the US taxpayer, who has contributed billions to the cause of missile defences while enriching the world’s biggest defence contractors, a fair question might be: Where is the capability? Why don’t these systems work?